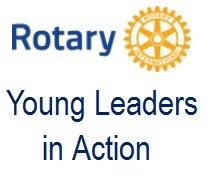 Click the "Read more..." button to read the latest edition of the Rotary Young Leaders in Action bulletin. During the Rotaract Preconvention, Rotaract’s 50th anniversary was celebrated by exchanging ideas, learning from engaging speakers, connecting with Rotaractors and Rotarians from around the world. Download workshop presentations. The audience was inspired by former Prime Minister of New Zealand Helen Clark, learned about Canada’s commitment to end polio from Canadian Prime Minister Justin Trudeau, heard from Rotary President Ian Riseley on how we can make a difference in our communities, and asked to be the inspiration by Rotary President-elect Barry Rassin. The Rotaract panel shared their experience in Rotary’s six areas of focus, and how Rotaractors and Rotarians can work together to create positive change in local communities and around the world. Capture the moment in Hamburg – register now for the 2019 Rotary International Convention. What’s your Rotaract moment? Share your photos, videos, and stories with #MyRotaractMoment on Twitter and Instagram to celebrate the amazing people, places, and projects from Rotaract with your friends, networks, and communities! Check out the social wall to get inspired and connect with Rotaractors around the world to create new Rotaract moments. 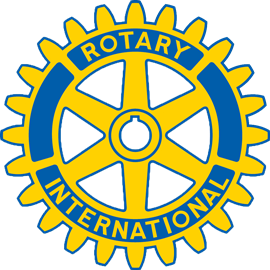 Your Rotary, Rotaract, or Interact club can earn a Rotary Citation for achieving goals that strengthen Rotary and your clubs. Be the Inspiration — grow your membership, develop sustainable service projects, support The Rotary Foundation, and build awareness of Rotary in your community and get recognized for your efforts. Get started now and track your progress starting in August. Read Rebecca’s story of finding the right Rotary club for her and questions she recommends asking when joining a club. Note: This list is informational only and does not constitute an endorsement of any event. Please contact event organizers for details. Do you know of an event we should add to this list? Email us at programs@rotary.org.